Winter is a great time to stay bundled up indoors. But don’t forget about your yard! Even if you’re not mowing the lawn in winter, attentiveness will set you up for a successful spring. 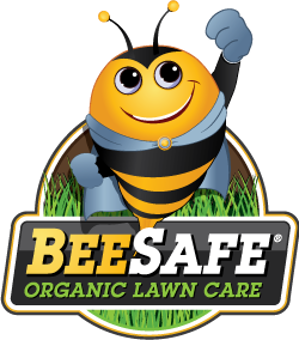 Taking care of the lawn in winter is important! In a perfect world, leaves and debris were cleaned up thoroughly during the fall. However, autumn is football season as well as leaf-blowing season, and it’s easy to stay busy on the weekends. So, if you haven’t already, get out the leaf blower and make sure your lawn looks clean and ready for colder weather. Grasses go dormant during the winter, meaning they won’t grow like they do during the spring and summer months. 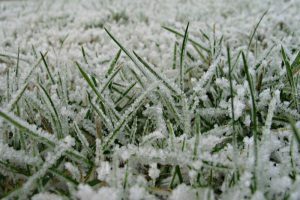 Because of this, frost won’t usually damage grass blades permanently. However, if frozen and brittle grass is walked on too often, both the appearance and health of the turf will suffer. Avoid walking on grass whenever possible. It’s important to the health of your power equipment that you avoid leaving fuel in the engine over the winter months. You can avoid having to deal with a clogged carburetor and other problems by adding a fuel stabilizer or running the engine dry prior to putting a product away for the winter. Walking in a winter wonderland is a lot more fun than it sounds. Keep sidewalks, driveways and other areas clear of snow. As melting snow and spring rains bring additional moisture to your yard, it’s important to apply a pre-emergent to the turf to avoid early weed germination.